Board Members and officials hold important roles in the decision making process in HOA's. 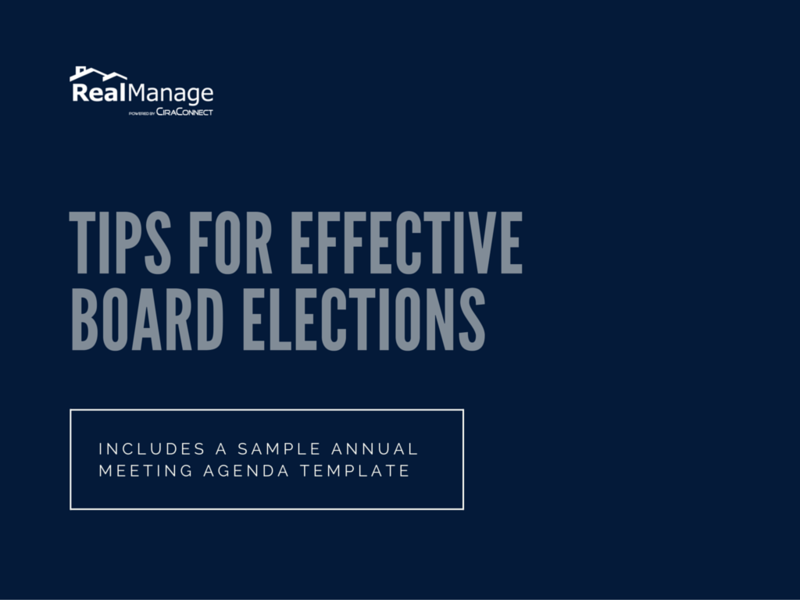 Making careful decisions on budgets, projects, and other changes in the community is crucial to running a community smoothly, and therefore, board elections should be prepared and run in an effective manner. COPYRIGHT © 2017 REALMANAGE, LLC. ALL RIGHTS RESERVED.